The rulers of the Byzantine Empire and its commonwealth were protected both by their own soldiers and by a heavenly army: the military saints. The transformation of Saints George, Demetrios, Theodore and others into the patrons of imperial armies was one of the defining developments of religious life under the Macedonian emperors. 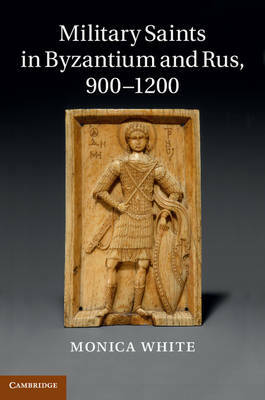 This book provides a comprehensive study of military sainthood and its roots in late antiquity. The emergence of the cults is situated within a broader social context, in which mortal soldiers were equated with martyrs and martyrs of the early Church recruited to protect them on the battlefield. Dr White then traces the fate of these saints in early Rus, drawing on unpublished manuscripts and other under-utilised sources to discuss their veneration within the princely clan and their influence on the first native saints of Rus, Boris and Gleb, who eventually joined the ranks of their ancient counterparts.